I am republishing this blog post today in Memory of George White who lost his battle with cancer last night. Always in my heart, forever. For those of you who might not know, I am a graduate of Syracuse University. 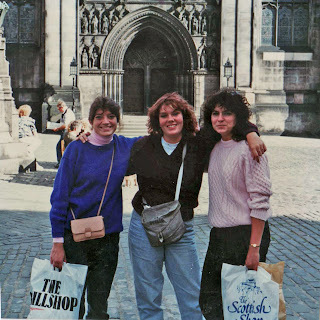 I spent a semester abroad in the Fall of 1988 in London, UK. That year, Libya bombed Pan Am Flight 103, the plane exploded over and landed on the wee village of Lockerbie, Scotland, and the rest is history. 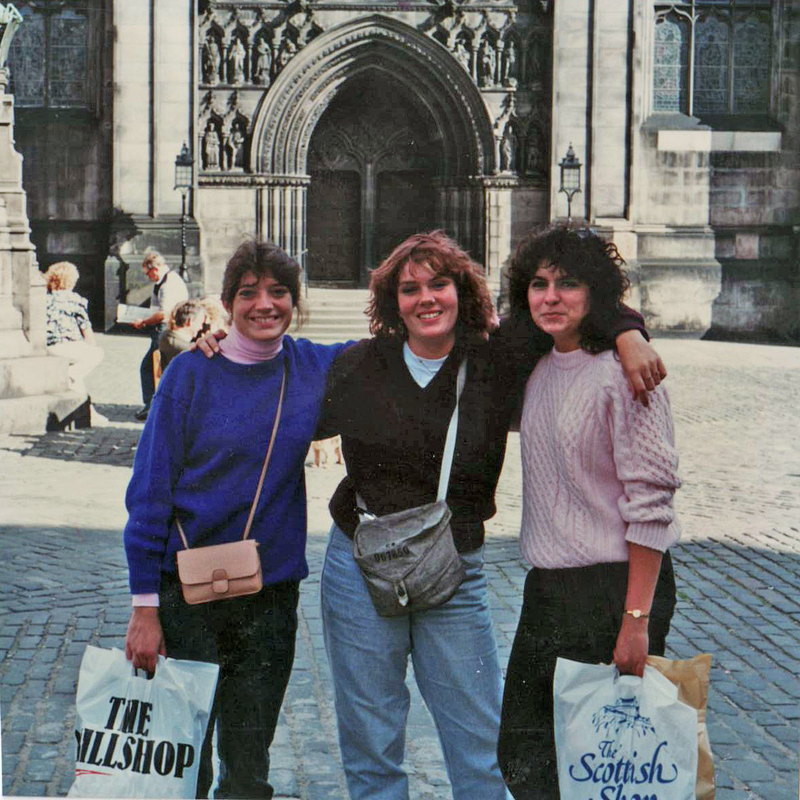 In 1990, I returned to London (one of many times), and visited Lockerbie with Anna Marie Miazga (above) mother of Suzanne, my flatmate and best friend, who died along with my other two flatmates and 32 classmates from Syracuse U. It was in Lockerbie that we bonded, we cried, we laughed, we remembered, we visited the memorial, we saw the crater that was still in the ground, we watched houses being rebuilt. We also met George White. George was a paramedic on duty that night. He doesn’t talk about the Air Disaster much, because he still has nightmares about it. It was George who found my best friend and Anna Marie’s daughter Suzanne Miazga’s body from where it fell, just outside the ambulance building. He wrapped her up in a blanket, and never forgot her. He planted a rose bush right where he found her. George and Anna Marie have been friends for 25 years since the crash. 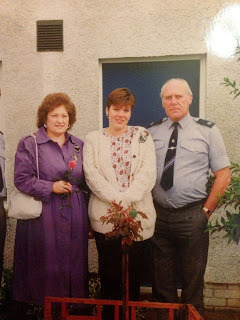 They wrote letters and sent Christmas gifts in the early days, then they called and visited–Anna Marie has been to Lockerbie at least 20 times. Over the years they grew closer. These days George lives in New York State with Anna Marie, they are forever together, found love in the wake of tragedy, Just like I found them. While in Penn Yan, NY teaching a workshop for the Art Center of Yates County and competing in the Keuka Lake Triathlon (in honor of Flick who lost his life on his bike last year) (read my article in the Chronicle Express here) Anna Marie and George drove over and stayed at the cottage with me. How lucky am I to have been able to coordinate so many wonderful things into one week? Call it luck, call it good Karma, it’s a beautiful thing. I have been so very lucky to have Anna Marie and George in my life, and they are so lucky to have each other. Our visit in New York reminded me just how much I love them, and what a journey life can be if you let it take you by the hand. During the day while I taught class, George and Anna Marie enjoyed the Keuka Lake Wine Trail, and the cottage by the lake. At night we enjoyed each other’s company. Trying to figure out the CD player only to learn that George brought mostly Christmas music, joking and laughing that “If it’s not Scottish it’s CRAP” and trying to keep Anna Marie from cleaning, sweeping, and scrubbing. Always my Mom. that we even baked cookies. 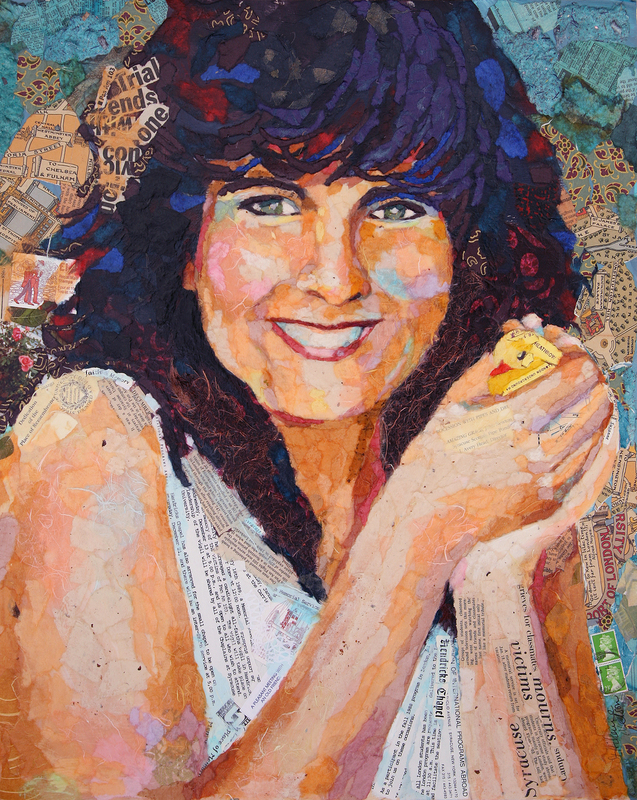 For the 20-year anniversary of her death, I created a collage of Suzanne Miazga for Anna Marie. 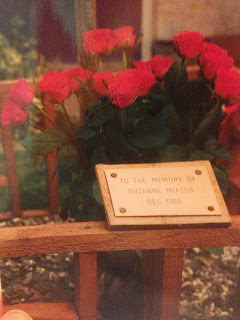 I included all kinds of personal ephemera (including a photo of George’s rose bush), and called it “End of Innocence” as not only did she die that day, but the curtain closed on my childhood too. Don’t you know Suzanne was happy to meet the man who brought her mother such joy in her absence. Sorry for your loss. you know I love you Nancy. Thank you so much. 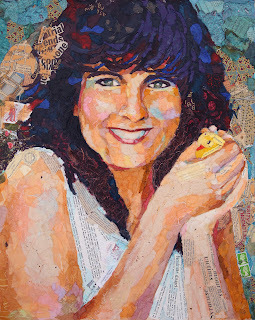 Elizabeth, I absolutely LOVE your work and am hoping to take a workshop with you next year. I just want to tell you how inspiring you are. I’ve read about your tragedy that happened to you in your young life and the way you’ve handled it is amazing. You are such a happy go lucky lady and always positive. You must bring so much joy to your friends and family. Keep up the great work and thanks for sharing your inspiring life. Thank you so much Darla, that means a lot to me. George was an amazingly fun and happy man, despite having been faced with the Lockerbie Air Disaster (as the Scots call it) so up close and personal. I am trying to live my life to the fullest that I can. I appreciate your kind words and look forward to meeting you one day. I first clicked on the link because I recognized your name as an artist, and hope to do a work shop someday. But the story you tell of such a great loss, and then the bond that grew from that loss really struck a note with me. Years of ….caring for others because of a something that affected you all in a horrible way. Life does bring us something to hold on to when it takes something away……if only we look for it.